The For Sale Sign Evolved! The “For Sale” sign, combined with digital media and technology. The “For Sale” sign, combined with digital media and technology. Simply, the most effective “For Sale By Owner” sign solution available. Your online showcase is linked to your sign, giving buyers the information they require to make an informed decision to buy. Integrated with sales tools, resources, and technology to help you sell with more confidence and less effort. Sell or rent real estate, your car, boat, RV, or promote any outdoor sale. Sell or rent real estate, your car, boat, RV, or promote any outdoor sale. The benefits of a traditional “For Sale By Owner” sign with enhanced features and image, allows you to market and sell anything outdoors. Our real estate package gives you all the marketing, tools, and resources to sell or rent your property commission free. One small purchase price, no hidden costs, commissions, or renewal fees. One small purchase price, no hidden costs, commissions, or renewal fees. Once you buy a sign you will never pay another dime. Use it to sell whatever you chose and as often as you please, for as long as you have your sign. Your 24 hour silent salesman never stops working for you! Use the same “For Sale” sign over and over for any sale. Use the same “For Sale” sign over and over for any sale. Unlike a traditional "for sale sign" there is no need to write additional information directly on the sign. Which means that you can reuse it time and time again, for any future sales. Use it to sell your boat today, your car next month, and your home or RV next year. Clean and reusable outdoor marketing. Link multiple "For Sale" signs to one showcase or sell many goods at once. Link multiple “For Sale” signs to one showcase or sell many goods at once. Effortlessly manage your signs and ads. Your online control panel allows you to link and manage as many signs and showcases as you like. Sold your car today, but still selling your house? Link the sign from your car to your house, and place it on a busy street corner. It's that easy! Your sign promotes only your sale. Your sign promotes only Your Sale. Your 24 hour silent salesman is dedicated only to you! A buyer cannot search or access any other ads that may offer similar or competing products. Information can only be accessed by entering the unique sign code or by scanning the QR code on the sign using a smart mobile device. Visible 24/7 by scanning or entering your unique sign code. Stylish and professional on any mobile or desktop device. Simple to create using integrated templates. Always exclusive to you. Buyers cannot search other ads. 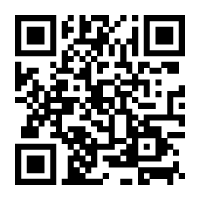 See Sample Showcase or scan QR Code to see mobile version. Select from a variety of signs in our online store. Buy more than one to increase your marketing exposure. Always, reuse your signs at no cost. Selling real estate? Choose our real estate value bundle for more savings. It’s simple and takes less than 2 minutes! You may create your account and your ad before you even get your sign. Activate your sign any time by following the easy setup wizard. Install your sign where people will see it. Signs may be installed directly on the object being sold, or in front of it. We offer simple installation hardware, from professional real estate frames to economical sign stakes and zip ties. Answer inquiries by phone or email, and negotiate your sale directly with the purchaser. Use the resources and tools in your account to help along the way. It’s fun, rewarding, and easy!